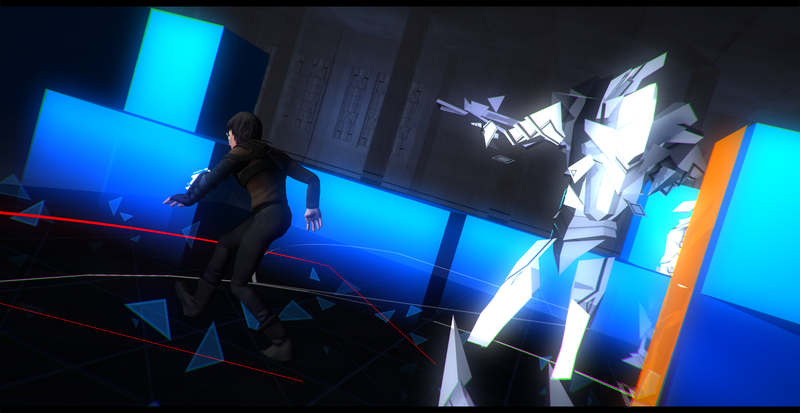 Mike Bithell makes a return to video games with this futuristic stealth portrayal of Robin Hood. But is Volume worthy or your time and money? Our review. I sat, half-crouched, my back pressed against the wall as the Pawn stepped to the corner. I held my breath, wishing the thing away, but it stood there for a moment longer. A second passed, two, three, I can’t remember how long it stood there, waiting for me to make a wrong move. It turned away, and I followed it, making sure to stay outside of its vision. Just as I reached the next wall, crouching to avoid being seen, it twisted, the cone of sight transitioning back towards me. My heart skipped a beat as the cone flashed red, the Pawn making its way towards me, to find me. Adrenaline pumped through my body as I slid against the wall, edging towards the corner, edging towards safety. I barely made it. The Pawn looked around, the spot I’d just been in empty. Confused, it stared, then looked side to side, unable to find any sign of intruders it simply return to its post. This wasn’t the first close-encounter I had experienced inside the Volume, and it certainly wouldn’t be the last. Volume is stealth in its simplest form. Starting out players must travel around each level avoiding detection and gathering up gems until the exit to the level opens up. As the game progresses, however, new enemies, new blockades, and new gadgets are introduced to help the player along the way. From a simple device called the Bugle, which emits noise in any location that you can aim at, to a device which makes Rob Locksley, the game’s protagonist, blend in with his enemies, there are plenty of options available to give each level its own unique twists and turns. The sound design, from the noise of footsteps, to the sound that Rob makes when jumping over certain blocks, to the annoying alarms that blare when a laser trap is tripped, is top-notch resulting in some of the most satisfying sounds I've ever experienced in any video game. The game’s soundtrack is also fantastic, ranging from inspiring to melodramatic tracks to fit the mood of each moment of the game. Its weak point lies in its story. In the simplest forms the story is Robin Hood told in a futuristic world. Instead of actually going out and physically changing the world though, Rob begins simulations to teach people how to steal back from the rich. The story expands as it progresses, but I was saddened when I reached the abrupt end of the game. What felt more like a natural moment of rising action in the middle turned out to be the ending. The scope of it is grandiose, but it failed to really grab my heart as Bithell’s work in Thomas Was Alone did. While it wasn't an outright failure of storytelling, I was sad that we’ll have to wait for the possibility of a sequel to see deeper into Rob’s story. The shining light of Volume, however, is the game’s map editor. 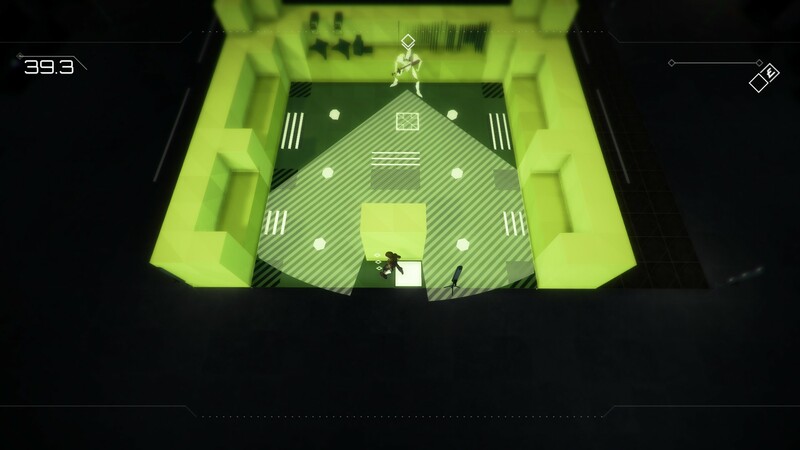 When speaking with Bithell about the game back at E3, he stated that the map editor was the same thing that they had used to create all the levels inside of Volume. This is a fantastic turnout, considering how unique and complex each level seemed to be when I was playing through the main story. After spending a few hours inside the editor, familiarizing myself with the controls and what not, I have to say this is one of the game’s strongest pieces. It allows you to make your own story within the world of Volume, without having to sacrifice anything extra along the way. I’ve included a screenshot of a silly level I created in about ten minutes, which just goes to show how easy it is to create interesting levels with the game’s editor. 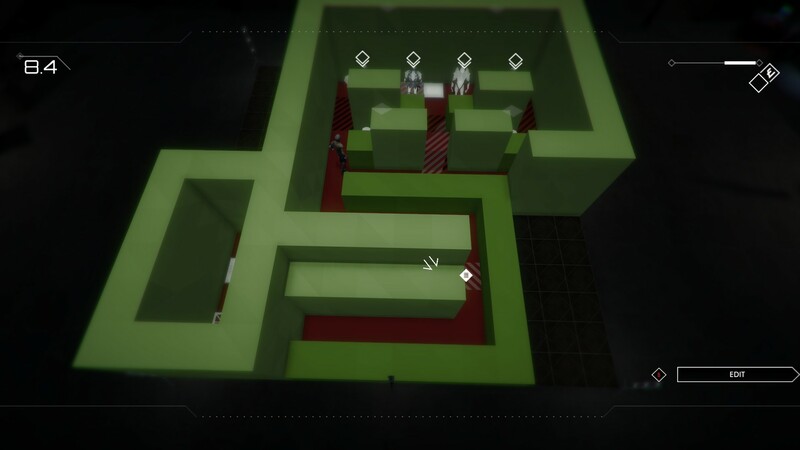 Volume is a fantastic experience that I highly recommend to any stealth-game lovers. It’s a unique twist on the Robin Hood story, and while the game’s main storyline might not have been as strong as I hoped, I think it is definitely a great follow-up to Bithell’s success with Thomas Was Alone. It might not grab your heart the same way those geometric shapes with human emotions did, but it’s still an experience worth having, and I can’t wait to see what wonderful creations come out of the game’s map editor. This review is based on a download code provided by the publisher. Volume is available via PlayStation Store and Steam today, for $19.99/£14.99/€17.99. The game is rated T for Teen. Is there an upgrade system? <><><>Start earning money without delay. Get more time along with your family by doing this easy job that solely need for you to own a pc and a web access at your home. begin to earn $8000 a month. A little effort and handsome earning dream is just a click away. Try this link.